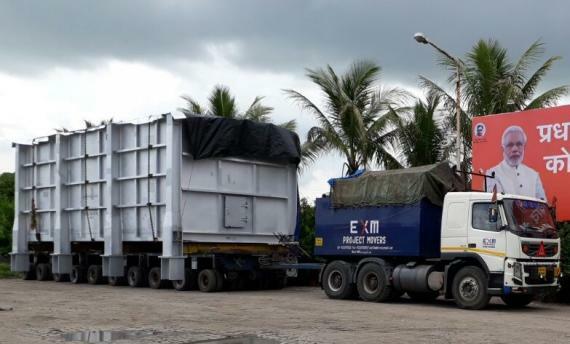 Express Global Logistics (EXG) are members in India and have successfully completed the national transportation of a convection module from Por to Gadepan. 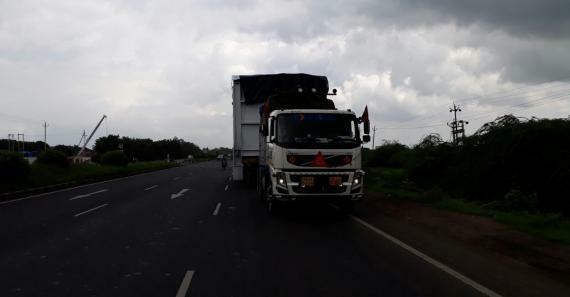 The challenging parts of the transportation was the height of the cargo with the stool base of the package coming below the level of the loading bed and passing through the flood hit areas of Gujarat and Rajasthan. Nandit Dayal at EXG explains; "Our operation team professionally negotiated all the hurdles and delivered the package well within the allocated time at Gadepan through heavy rains & floods. Many LT wires had to be negotiated and for 3 HT wires, power shutdown permission had to be obtained from the local authority which was swiftly managed by the field staff without stopping the transportation. The stool base of the package, which was below the axle bed, also required extra care during transportation because of speed breakers & turning of the axles. CAD software was used to assess the safe passage in critical turning roads and sideway obstacles. 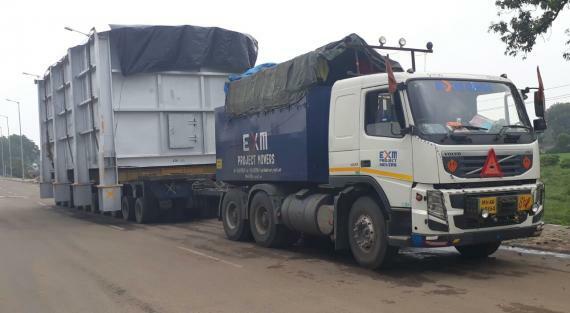 Also, due to the over-width of the package, it required the opening of sensors at three toll plazas with permission from the toll authorities to allow the cargo to move safely." EXG once again completed the task successfully by safely delivering the job at customer's site in time. Please click below for photographs.